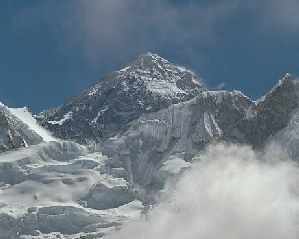 Everest, one of the seven summits, 7 summits, the highest mountains of every continent! Was it Hillary or Mallory?....The biggest magnet in the world; even Jon Krakauer couldn't keep them away from this giant. Because 'it's there'? Soon I will post my pictures and stories here, so please come back and tell me what you think! Buy the pocket and keep this great version for the pix! Brilliant book by a brilliant photographer and climber. Personal and honest story about the Kloberdanz kid and his passions. The other side of the story by the man who was a hero anyhow.